Launched in Times Square in September 2015, Rainforest Listening is an augmented reality project that layers rainforest soundscapes in urban environments to inspire ecological engagement. Listeners access the sounds via mobile devices and sculpt their own experience by triggering geolocated soundscapes as they walk through iconic locations across the world. At COP21 we brought the rainforests of the world to Paris to inspire world leaders to take climate action and listen to the environment. 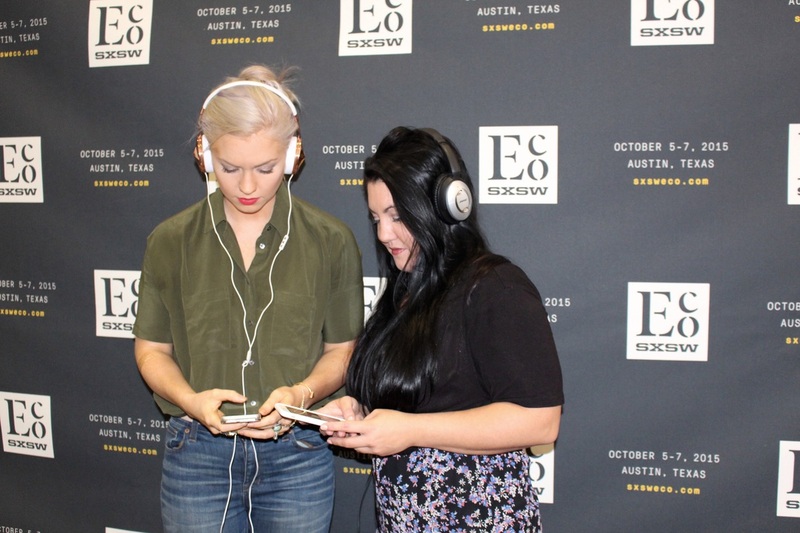 Rainforest Listening Austin launched at SXSW Eco in 2015 with the UN Foundation and is expanding across city for SXSW 2016. The first Rainforest Listening installation launched in Times Square, New York City during Climate Week NYC on September 23rd, 2015. Rainforest Listening is produced by Rainforest Partnership, an international NGO founded with a mission to protect tropical rainforests by partnering with people at global and local levels to create lasting solutions to deforestation. This unique artistic partnership with Australian artist Leah Barclay is designed to use art as a catalyst for global engagement and contribute directly to rainforest communities. Your support for Rainforest Partnership directly impacts rainforest communities.